After a very long road trip out to the giant toboggan ice slide in Eagle's Mere, the first lady and I continued our excursion through the vast countryside to try to try to find some food. Our stomachs were growling after waiting in line for hours and hours for two quick rides down the spectacular slide. It seemed we traveled forever, when we came across civilization and Red's appeared in the distance. After making sure it wasn't an oasis in the desert, we pulled into the parking lot and verified that the place was real! It was a neat little country restaurant which was very clean and had about 20 tables full of hungry and excited diners. We eagerly joined them and started scanning the menu. The first thing I noticed was that the prices were extraordinarily low with most appetizers priced under $5.00. We quickly put in an order for way more food than we could eat along with a large pizza to try. The service was lightning fast and the food was zooming out of the kitchen, so needless to say we really appreciated that! A few notes on the appetizers, wings were jumbo, nachos had everything on them, potato pancakes were the little ones, and the table was still filled with apps when we were finished. Our eyes were definitely bigger than our stomachs, but the whole bill only came to like $33.00 so it was guilt free on the wallet. Luckily we saved just enough room to try a slice of pizza or two. The pizza came out very quickly as well, and it looked fantastic as you can see in the photos. The appearance of this pie got me very excited to try it out. 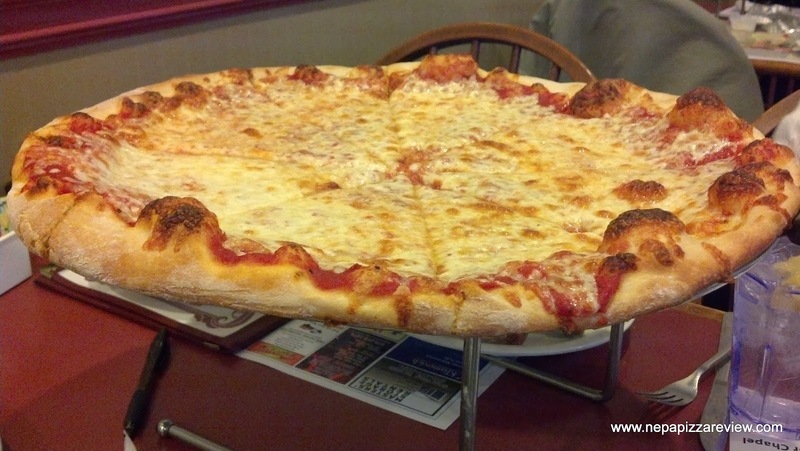 The pie could not have been prepared or cooked any more perfectly so kudos to the pizza maker. 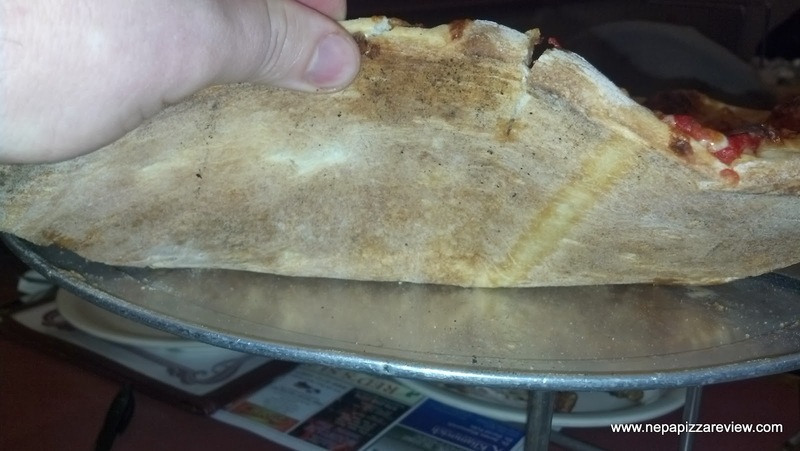 The crust was by far the best component of the pizza as it was super light and airy, nice and crispy, ultra tender and had a magnificent bubble pattern. The crust reminded me of the Dough Company in Wilkes-Barre. The rest of the pie was so-so as it was comprised of a simplistic sauce with some cheese that could have used a little more flavor. The tomatoes were a tad bitter and I could detect the taste of the can that they came out of. Although this was viewed as a negative by me, the first lady described the sauce as a little sweet and seemed to enjoy it more than I did. 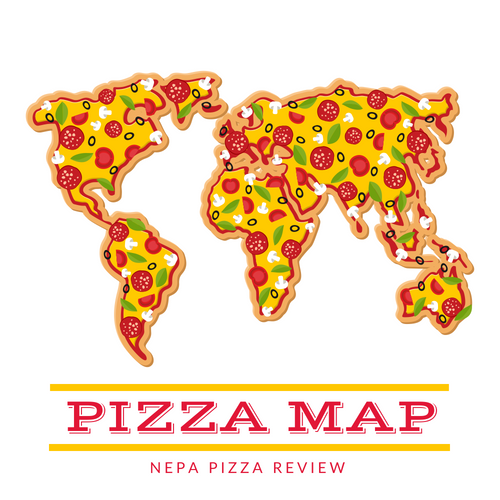 My opinion aside, I can totally see this pizza having mass appeal with a wide variety of people, especially kids. The fact that the pizza is dirt cheap doesn't hurt either. This would be a great affordable pizza for a birthday party. 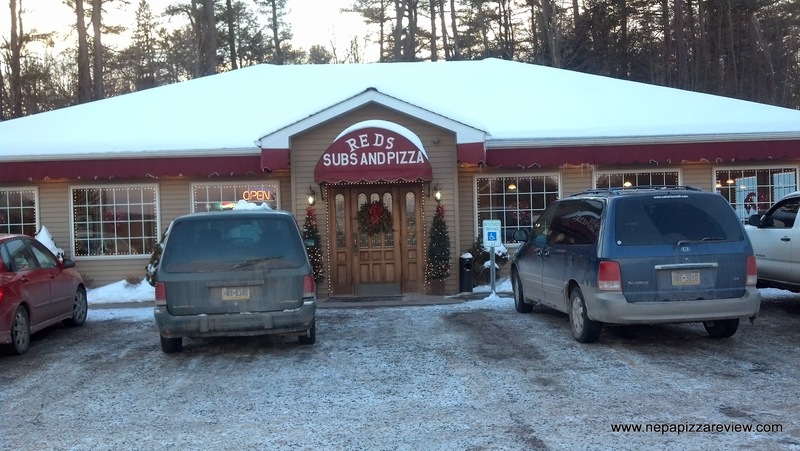 The Bottom Line is that Red's is a really clean and cozy country restaurant that provides exceptional value, good food, and decent pizza. I wouldn't hesitate to give it my seal of approval, especially if you are dining on a budget.